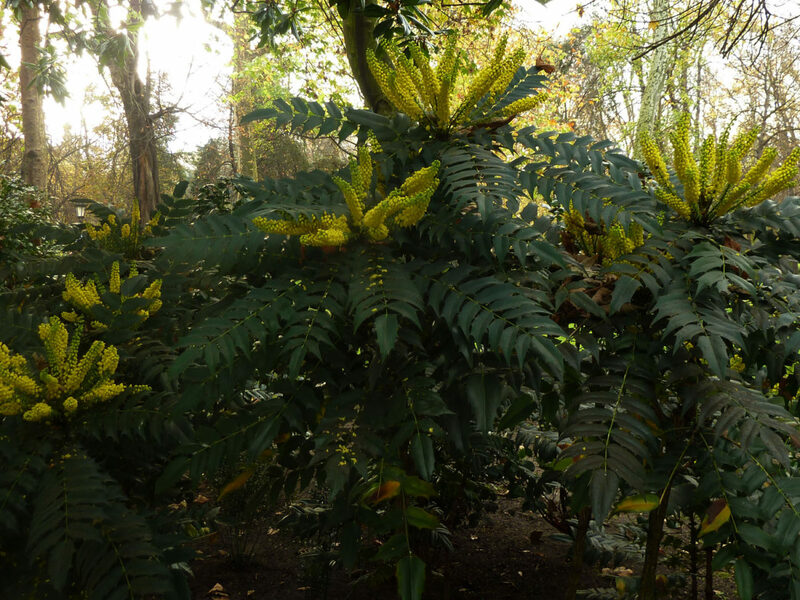 This plant has also been called Mahonia aquifolium. Native to British Columbia to Northern California, mostly west of the Cascades. In California it grows throughout the mountains and foothills of northern and central California, and in Southern California it grows primarily in the Transverse range. See the Calscape link below for a map of its range in California. 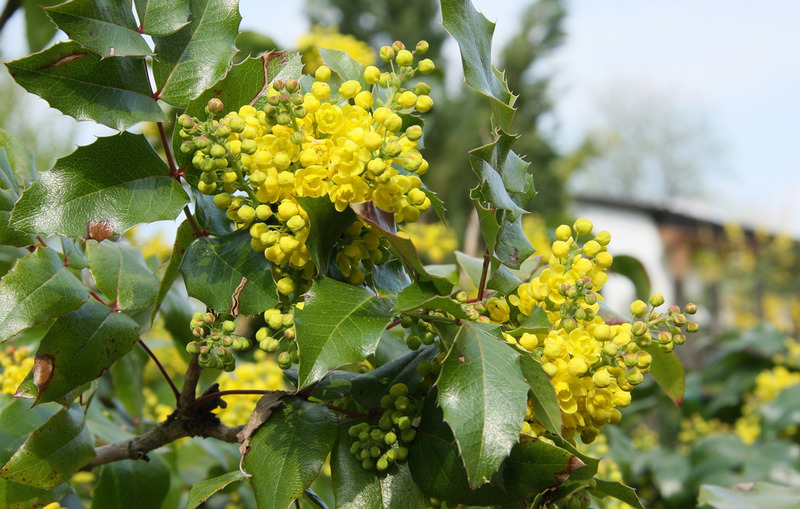 A dense, bushy shrub that grows 6 ft. tall and spreads by underground stems to 5 ft. wide. 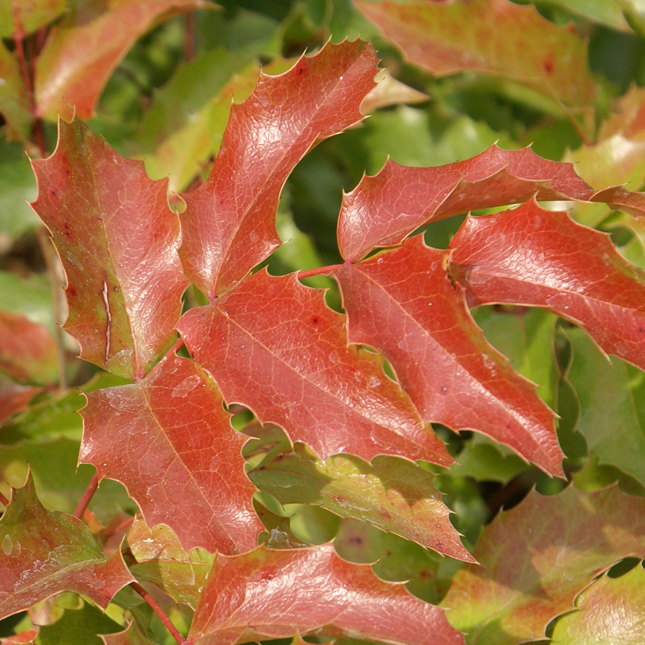 The leaves are a glossy green and resemble holly leaves, making it an excellent alternative plant to English holly (Ilex aquifolium). 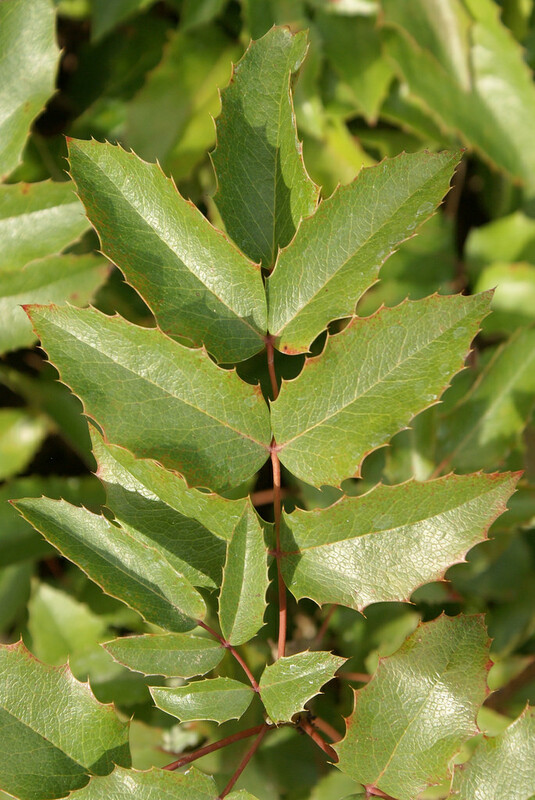 Aquifolium means "spiny-leaved" which is why those plants have the same specific epithet. 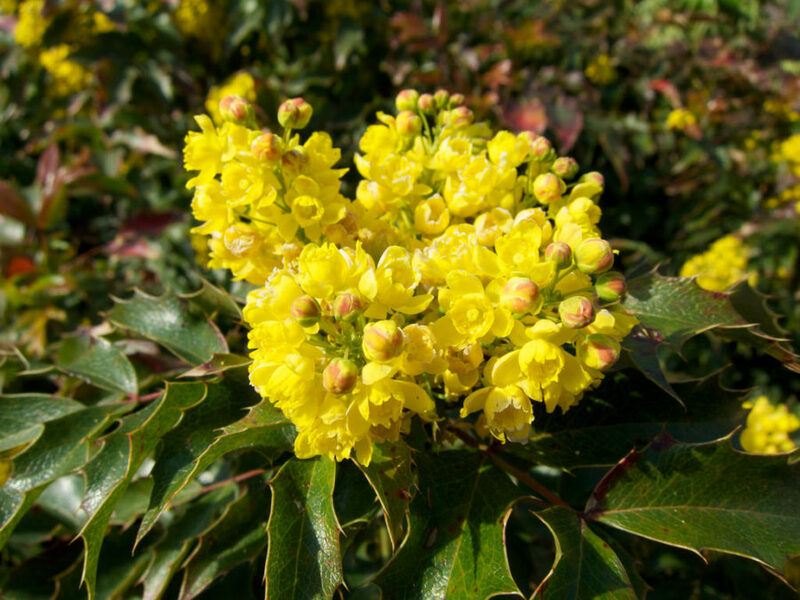 It can also be used as an alternative to Berberis darwinii, a plant on our Plants to Watch list. 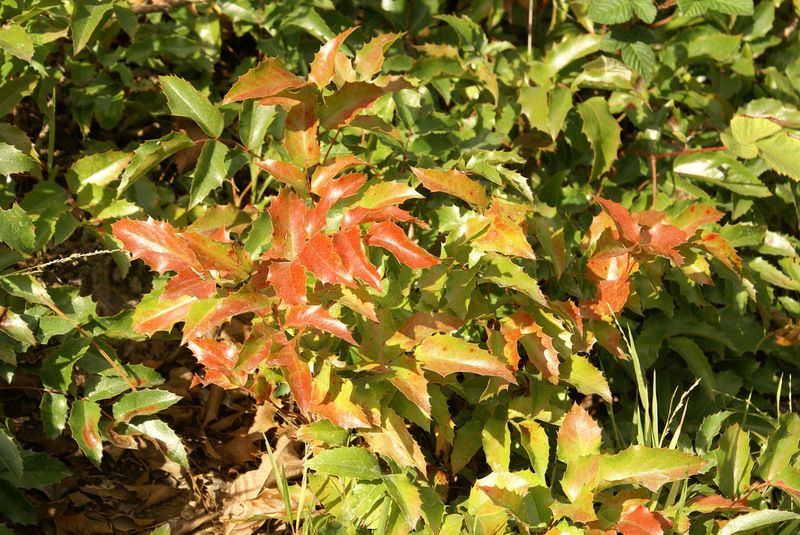 The leaves turn red in winter, especially in colder areas and where in full sun. 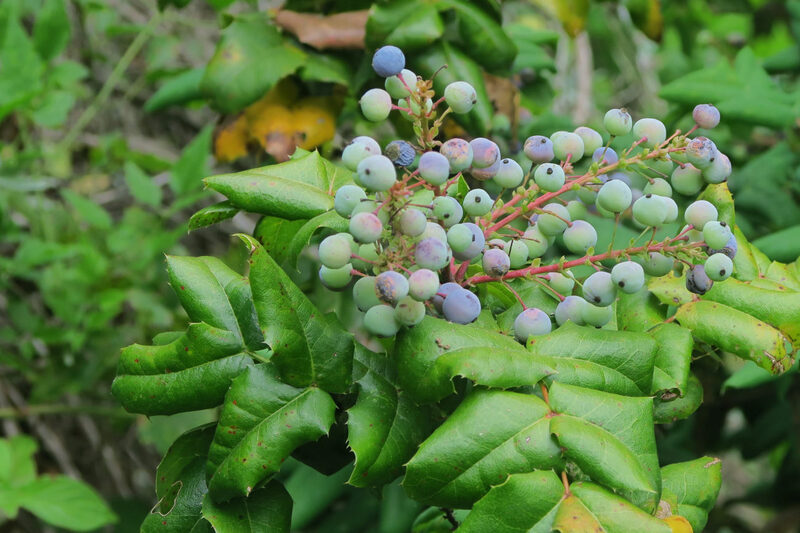 Clusters of yellow flowers appear in early spring and become blue-black fruits with gray bloom that will attract songbirds and that you can make into jelly. Works well massed as a low screen or garden barrier, especially in a woodland garden. Control the height and form by pruning. Give wind protection in colder areas. It can take any exposure but performs best with shade in the hottest climates. A northern exposure is recommended in the desert. 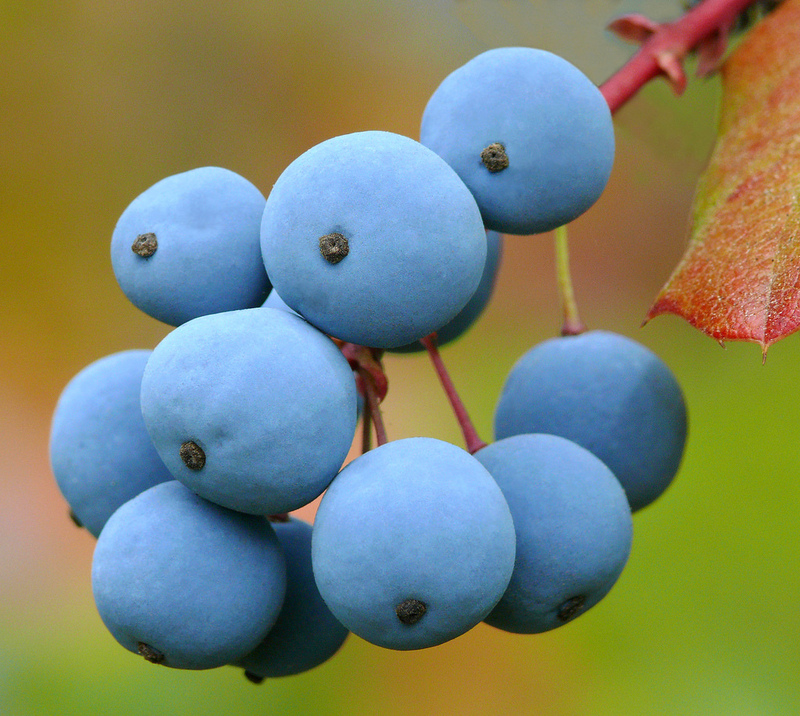 There are three recognized varieties in the wild that were previously treated as separate species. 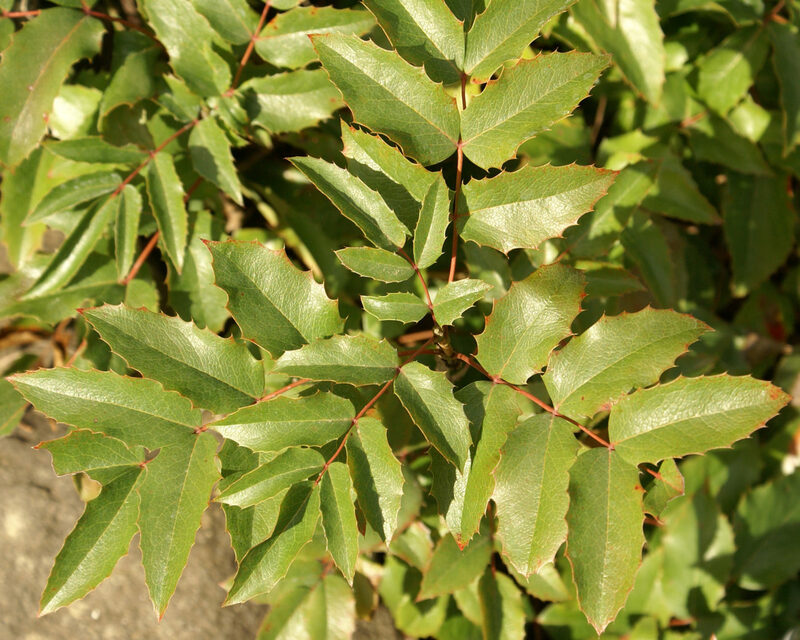 Berberis aquifolium var. repens is a low growing form that can be used as a groundcover, and has low water requirements. Several cultivars exist, including 'Compacta', which grows 2-3 ft. tall and 3-4 ft. wide. 'John Muir' is about the same size as 'Compacta' but with somewhat finer foliage and denser growth. 'Orange Flame' is the same size but with bronzy new growth and leaves that turn wine red in winter. Use the WUCOLS database to find the water requirements these varieties and cultivars for your location.